Concert begins at 6:00 p.m. Relax and watch as we light up the sky honoring our country and celebrating our freedom. This night is complete with live music, food vendors and more! Our 2019 entertainment features soul, motown, rock and pop music by the band Hip Pockit! Bring your blanket and chairs for a fun-filled night celebrating our country and honoring our freedom. For the enjoyment of others, please remember all parks are smoke-free. Also, all tents must be collapsible and taken down prior to the start of the firework display. Grills may be utilized in the designated grilling area only. Please follow the direction of parking personnel. Parking will be available at Community Park, St. Matthews School & Church, and Quentin Bible School. Community Park will be closed starting at dusk on Tuesday, July 2 and will remain closed until noon on Wednesday, July 3. No access is allowed during this time. Cars will be towed and any personal items left on park grounds will be removed. Thursday, July 4, 10:00 a.m. Celebrate America and our freedom with a march through town ending with a flag raising ceremony! The Fourth of July Parade kicks off on July 4th at 10 a.m. Our parade will start at the intersection of Carlisle and Falkirk, and will continue down Lagoon Drive to Village Hall where we will end with a flag-raising ceremony. 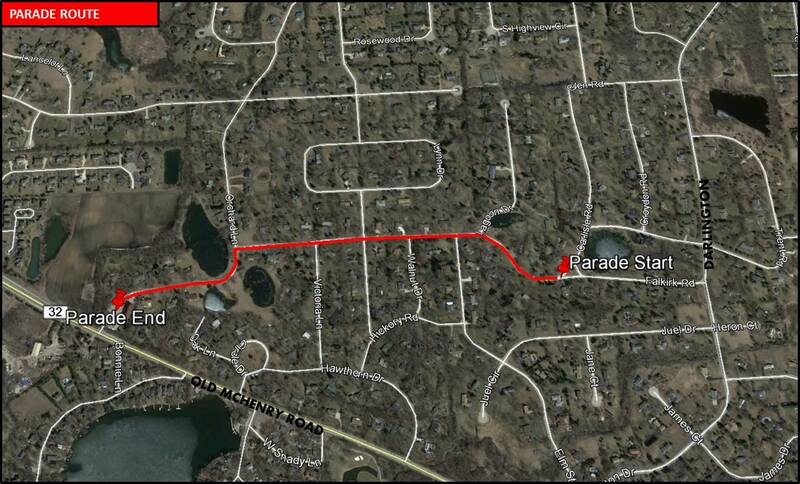 Road Closures: Lagoon, Falkirk, and Carlisle road will be closed the morning of July 4th due to parade festivities. Please plan your travels accordingly. Parking: When parking on the street to attend the parade, please remember to park on the odd-side of the street, and to leave a clearing for emergency vehicles. 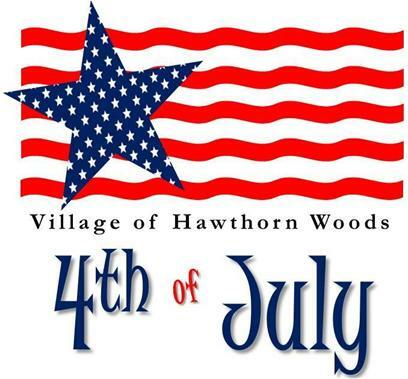 In an effort to maintain the safety of the residents and visitors to the Village of Hawthorn Woods effective immediately the Hawthorn Woods Police Department has instituted a zero tolerance policy towards illegal fireworks. Annually, thousands of people are treated in emergency departments for fireworks related injuries in the U.S. Two-thirds of these injuries and in some cases death, occur between June 16 and July 16. Officers will be vigilant in enforcing the fireworks laws. Citations will be issued with fines ranging from $100 to $750. All illegal fireworks will be confiscated and destroyed properly. The Fourth of July means barbecues and fireworks. It may seem like harmless fun, but fireworks are explosives. Only professionals should handle them. Leave the lighting to the professionals. Attend fireworks displays. 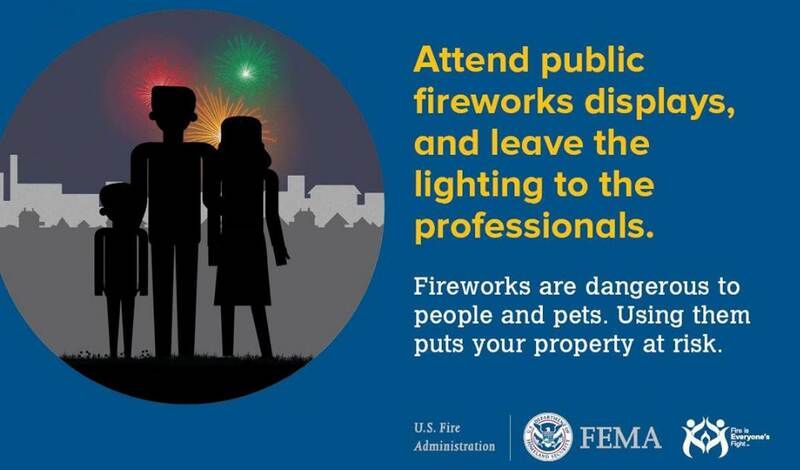 Do not try to re-light or pick up fireworks that have not fully ignited. Keep sparklers away from children. They can burn at temperatures about 2,000 degrees. That is hot enough to melt some metals. For more information on firework safety, check out the U.S. Consumer Product Safety Commission Fireworks page.